Brad Linder is a blogger, freelance journalist, and producer for National Public Radio. If anyone loves mobile recorders, he sure does. He writes in with a great overview of what was happening in mobile recorders at the AES show here in New York, with plenty of detailed information on his blog. Overall, it blew me away. 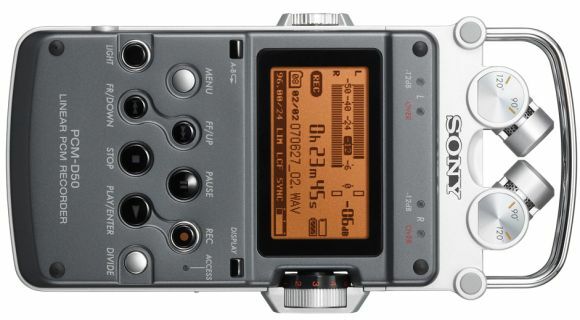 The successor to its $2000 PCM-D1 flash audio recorder is 1/3rd the price, and packs almost all the same features. For $600, it’s a bit pricier than the Zoom H2 or H4 recorders, but it’s aimed at professionals with high quality audio standards. Also, Digidesign/M-Audio is launching an updated version of their Microtrack flash recorder in November. They didn’t have a working model at AES, but the new unit will sell for $299 ($100 less than the original), features a brightness control, 48V phantom power (compared with 30V on the original), and improved battery life. On the down side, the battery is still non-removable. The long and short of it is, it’s an exciting time to be shopping for field recorders.